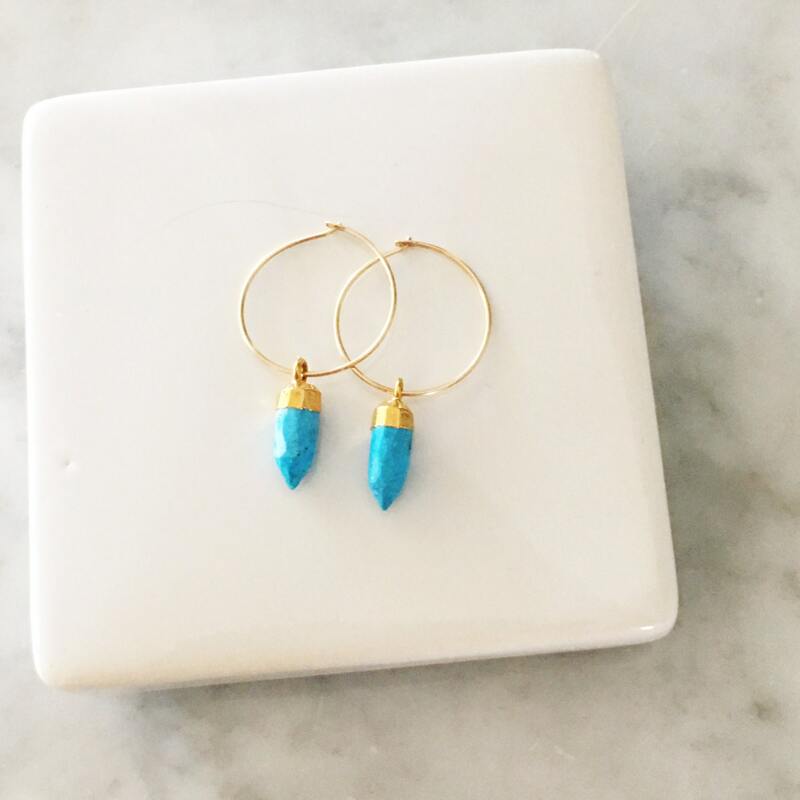 Bella - These spike dangle earrings are a wonderful touch of color to your everyday. Gorgeous. Love them! 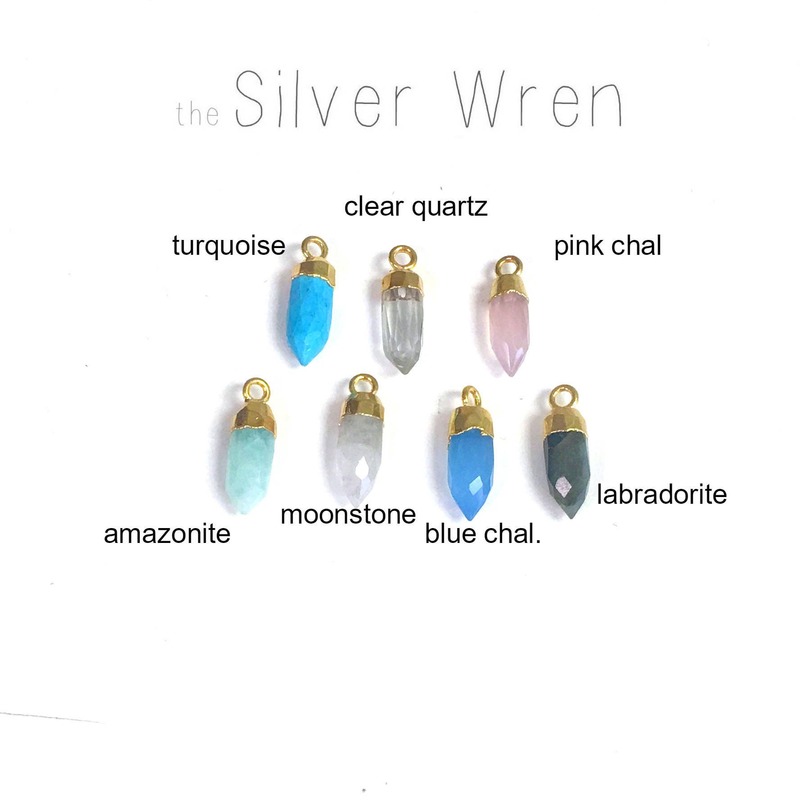 Returning customer here-I think these are the 3rd or 4th item I have ordered from TSW and each time the quality and design has been top notch. Great shop! Beautiful earrings. Great customer service. 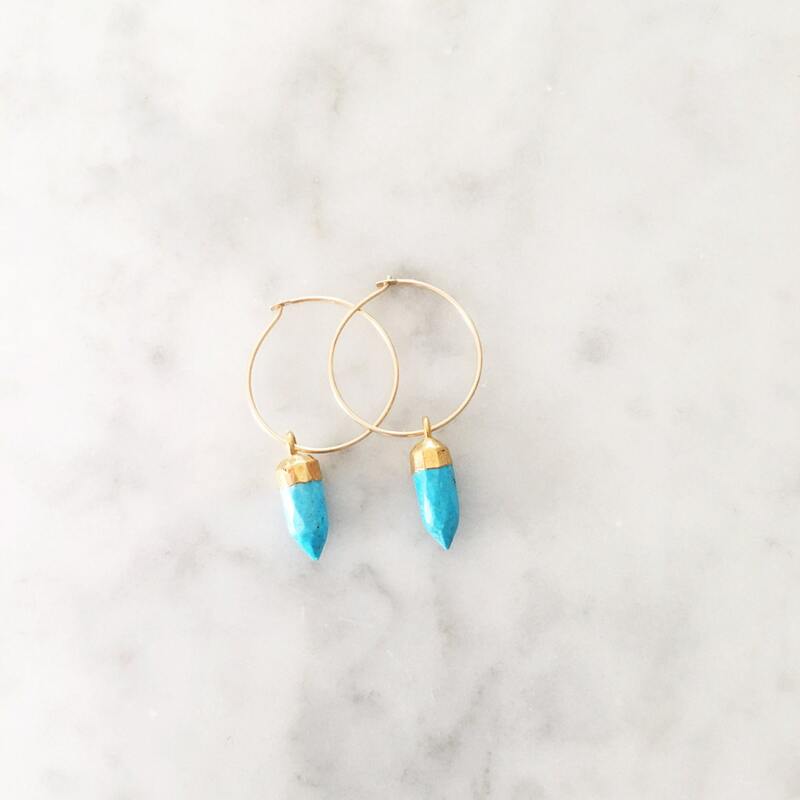 These turquoise spike drop earrings are so cute. I love them and have been wearing them, but they are a little difficult to hook through the hole when securing them in place. It will take some practice before I am really good at it! :) I do love them. These hoops are so slender and classy. 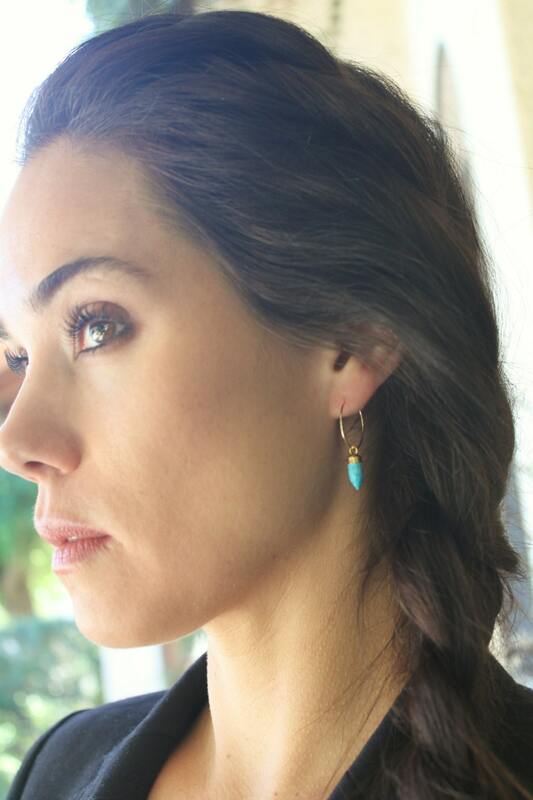 I love them paired with the lariat necklace.